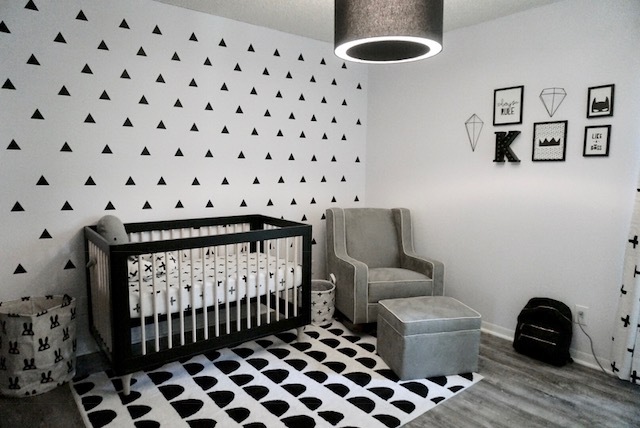 My design style tends to fluctuate and I often get overwhelmed when making a decision because I like so many different styles, but one thing was for sure when I found out that I was pregnant with Kingston last year, the nursery was definitely going to be a monochromatic black and white theme. If you've ever been to my house, you know that I have a MAJOR obsession with black and white. Pretty much every room in our house incorporates the colors black and white with the exception of Gianna's and the sun room. Not to mention, the exterior of our house is completely black (you can see the before/after here). 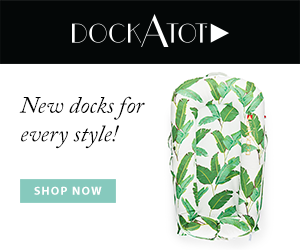 In addition, it is also said that black and white serves as visual stimulation for a baby's eyes, as they can only see in black and white for the first three months of their life. I had a very clear vision from day one and, if you know me, you know I love watching a vision come to life. It's by far one of my favorite things. Everything came together perfectly and I am so happy with the finished product. The bedding, curtains, and rug are from Target's Cloud Island collection, the dresser from Ikea, dresser knobs from CB2, crib by Babyletto, and rocker from Wal-Mart.